I understand the concept of the store and helping your guild. We are just starting to make our store of course I come to discover you gotta upgrade after you even purchase the store which I think is wrong, you should be able to do a basic store to start. What I am really wanting to know is there a way to donate my scripts to members? I am so high in power and fully equipped that I will not be buying from the store. Nope, there’s no way to do that, unfortunately. But it’s a good idea! Per blue could have implemented a system that was much less needlessly obtuse. 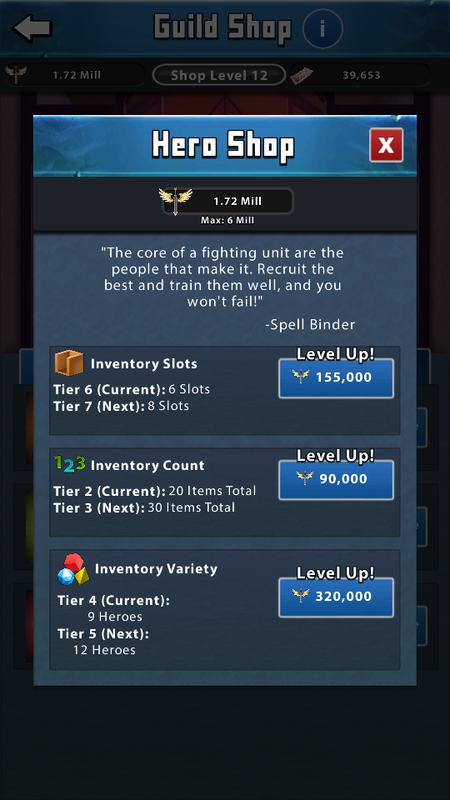 These three things would be the absolute minimum requirements for making the guild shop something people actually use, and want to spend influence on. Which in turn would drive more people to spend more time and money on portal quest. Which is kind of what the developers would like? 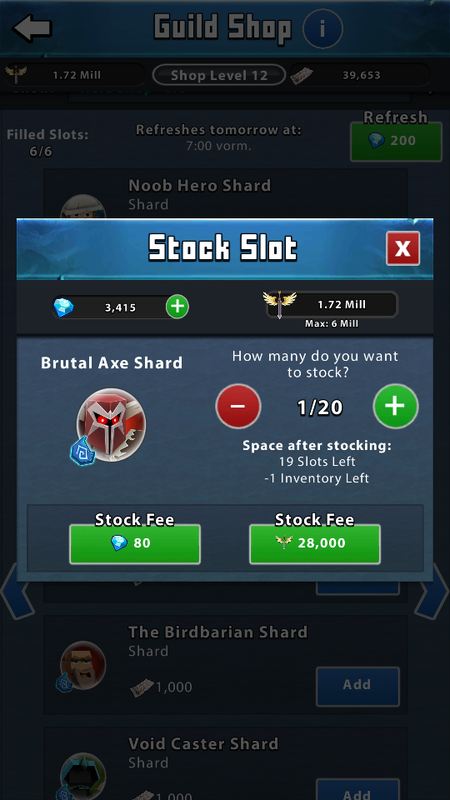 How do you stock guild shop without spending diamonds? They say they have to spend them too…I was wondering if we upgrade will that help? Uggg I see it now…never mind my last reply. But right now they can only use gems, do they have to upgrade something? Only leaders or commanders get that screen.